In her counsel to national and global clients in the areas of franchising, licensing, distribution, manufacturing, logistics, buying groups, cooperatives and shared services systems, Joyce Mazero provides transactional, regulatory, corporate governance and dispute resolution representation. She is a partner practicing in the Franchising & Distribution, Food & Beverage and Retail & Consumer Products industry groups. Joyce works with product and serviced-based client companies and leads them through major initiatives. These include financings, mergers & acquisitions, registration and disclosures, and negotiations of strategic alliances, joint ventures, and domestic and international licensing deals. Joyce has been ranked in Band 1 for Franchising Nationwide by Chambers USA since 2008, and is recognized by Chambers Global, which highlighted her "very strong sense of what it takes to drive a business" and "well-rounded viewpoint on transactions." Managing risk in supply chain operations and leveraging supply chains for competitive advantages is a practice focus for Joyce. Her background includes extensive counsel related to distribution networks, purchasing cooperatives and groups, manufacturers, suppliers, and sales representative systems. Joyce also advises clients on legal issues connected to non-traditional development deals, such as with airports, military bases and universities. The structuring, negotiation and legal enforcement of international commercial relationships is an additional area in which she has significant experience. Joyce's professional leadership spans key national and international professional and civic associations. She currently sits on the International Franchise Association's Educational Foundation Board of Trustees and the National Restaurant Association Educational Foundation's Board of Trustees. She previously served on the Advisory Board of New York-based fashion design house Nina McLemore and on the Susan G. Komen for the Cure Advocacy Alliance Board. She serves as Chair Emeritus for the Women Corporate Directors' DFW Chapter, of which she is a founding member. A frequent national speaker and writer, Joyce was an editorial advisor to the book, Franchising for Dummies. 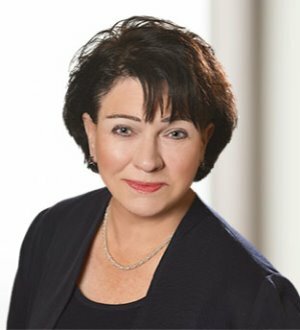 She is the recipient of several leadership awards from the International Franchise Association and served as a past Chair of the IFA's Supplier Forum Advisory Board. Joyce has been listed for more than 20 years by The Best Lawyers in America and has become a "Legal Eagle" mainstay in the annual listing by Franchise Times, which inducted Joyce into its inaugural 2013 Legal Eagles Hall of Fame.